On March 25 Europe’s new watchdog for banks, The Single Supervisory Mechanism, imposed limits on Greek banks’ holdings of government debt. The measure has been criticised for putting undue pressure on the Greek government to come to terms with its official creditors. But it is an important step to increase Greek financial stability and the likelihood of Greece staying in the euro. 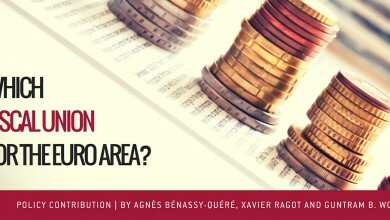 The conditions are now perfect for the common supervisor to introduce exposure rules across the euro area, which would greatly increase the stability of monetary union. In January, Greek banks held €15.5 billion of Greek government debt, of which €8.5 billion was short term T-bills. On top of this came €9.3 billion of loans given to the Greek state. These numbers compare with €30 billion of equity after accounting for €39 billion of provisions made against existing bad loans. Greek banks therefore remain highly exposed to the Greek state. Any banker should reduce exposure to clients talking openly about defaulting. Greek government debt is not risk-free, and the Supervisor rightly reminded banks to treat it accordingly. Should the Greek government decide to default, Greek banks would make significant losses and be subject to a bank-run. Since Bagehot, the approach to such a situation has been to provide abundant liquidity to solvent banks and to close the insolvent ones. The ECB so far has been providing abundant funding, despite doubts about monetary financing. In the case of a default, the greater the risk of insolvency of Greek banks due to their exposure to the state , the more difficult it will be to make the case for funding. If the euro area were a country, the watchdog would have closed the banks that became insolvent and put them in recovery and resolution. Other banks would quickly take over the business and the region would not suffer a shutdown of its financial system. Closing down large parts of Greece’s banking system would, however, be difficult as new banks are unlikely to enter the market due to the high legal and political uncertainties. The alternative option would be internal and external capital controls. Yet this is risky and undermines the cohesion of the euro area; such controls de-facto degrade the euro in Greece to a different currency. An exit from the euro area would then be almost inevitable. The imposed limits therefore actually renders the Greek banking system more robust to Greek political vagaries. It increases the probability of liquidity provision in the case of an outright default and thereby increases Greek chances of staying in the euro. Exposure limits to sovereign debt of individual countries are often rejected as they could increase funding costs in the short term. [This is one reason why a recent report by the European Systemic Risk Board could not come to a clear recommendation on the issue.] This worry is warranted for Greece. Greece would need to quickly come to an agreement with its official creditors, instead of relying on short-term ECB funding. For the other euro area countries, however, the best moment to introduce exposure limits is now. Bond prices are at an all-time high and yields are very low thanks to the ECB’s quantitative easing (QE) programme. In fact, the ECB will likely face the difficulty of identifying the appropriate sellers for sovereign debt. Danièle Nouy, the President of the Supervisory System at the ECB, is therefore right in pushing banks to reduce exposure to their sovereigns. This would not jeopardize government access to funding or undermine banks’ balance sheets, and the Single Supervisory Mechanism can thereby fulfil the political mandate that was at the origin of its creation: to break the toxic link between banks and governments. This will make Europe’s banking system safer and less dependent on politics. The ECB’s QE programme provides an excellent opportunity to reduce sovereign exposures and render Europe’s monetary union more stable. The op-ed was originally published on Bruegel. It is also published in a number of newspapers such as Handelsblatt.